Entrepreneur in the tech field, Bob Parsons made his name and much of his wealth as the owner of GoDaddy, an Internet domain registrar and web hosting company. Bob Parsons grew up in a modest family in Baltimore. He enlisted in the United States Marine Corps after high school and served in Vietnam as a rifleman for the 26th Marine Regiment, Delta Company. He is a decorated veteran, earning a Purple Heart, Combat Action Ribbon and Vietnam Gallantry Cross. He returned to the US after being wounded in action. He graduated from the University of Baltimore in 1975 with a degree in accounting and started his career in software sales in the IT industry. He founded Parsons Technology in 1984 while living in Cedar Rapids, Iowa and began selling MoneyCounts, a software package for home accounting. The company experienced massive growth, with over 1000 employees. He sold the company to Inuit, Inc. in 1994 for $64 million. 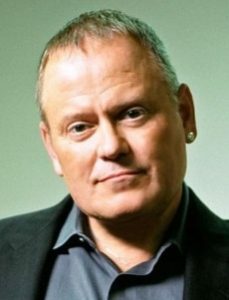 In 1997, Bob Parsons founded GoDaddy. The Internet domain registrar and web hosting company was an immediate, and global, success. 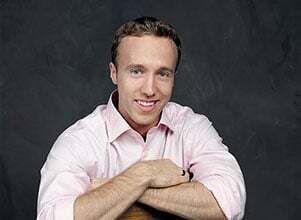 He sold around 70% of the company in 2011 to a private investment group. Though he resigned as CEO, and as Executive Chairman in 2014, he remains on the board of GoDaddy and is its largest shareholder with 28% of the shares. Bob Parsons is at heart, an entrepreneur and founded YAM Worldwide Inc., in 2012. A subsidiary of YAM Worldwide is YAM Capital, an investment division specializing in acquisitions and real estate investments. Parsons is the owner of a number of specialist motorcycle dealerships in the US as well as the owner of Scottsdale National Golf Club and Parsons Xtreme Golf (PXG) a company manufacturing golfing equipment. In 2010, Bob and his wife Renee, signed The Giving Pledge, promising to donate at least half of their wealth to charity. The Bob & Renee Parsons Foundation was established in 2012 and has awarded over 200 grants and funding to over 62 charitable organizations around the world. To date, over $100 million has been awarded. The foundation focuses on organizations close to the couple’s home in Phoenix, Arizona. The main areas on which the Bob & Renee Parsons Foundation focuses are immediate needs for disaster relief, veterans organizations and to local charities in Phoenix. The foundation pledged over $4 million to Hope for Haiti and $500,000 for immediate use after the earthquake in 2010. Veterans groups like the Semper Fi Fund are the recipients of funding as was the Southwest Center for HIV/AIDS with a $10 million grant. Locally, Bob and Renee Parsons have awarded grants and donations to the Phoenix Children’s Hospital, the Barrow Neurological Institute at St. Joseph’s Hospital and Medical Center and to Circle the City, to build a primary health care center in Phoenix.